No instant mixed used. No complicated recipe here. 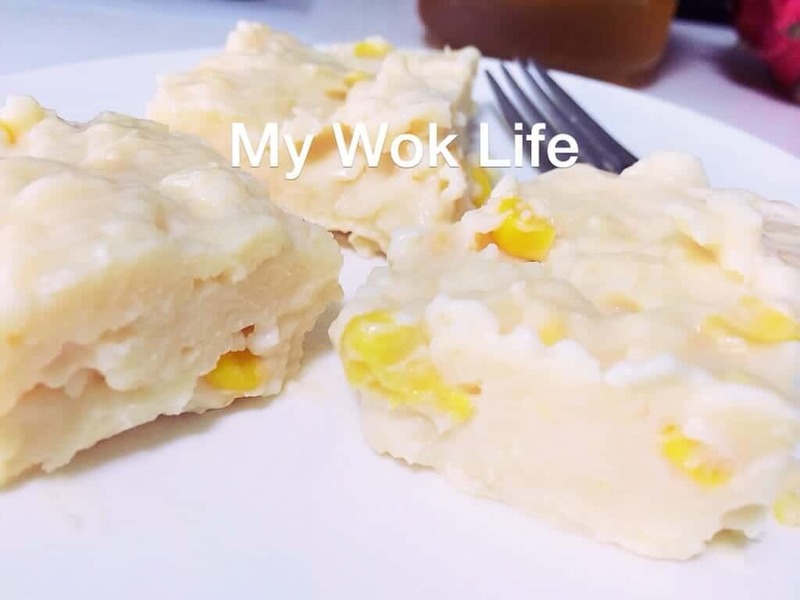 It’s simply the corn flour you will sure keep in your kitchen pantry that is needed for this coconut milk sweet corn pudding.